The Instaclave 2545 Series 3 Type A Vacuum Type S Autoclave, designed specifically to meet the needs of your practice. Including a rapid cycle to ensure a speedy turn around for your busy surgery. 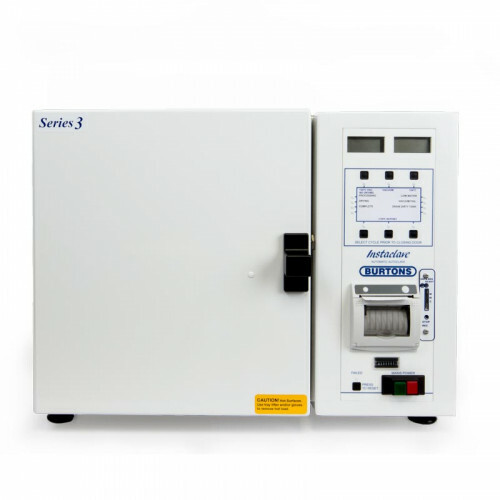 Choose from a non-vacuum rapid cycle, a vacuum cycle for solid instruments or a cycle specifically for including porous loads. There are two temperatures to choose from and an option for no drying. The easy and clear buttons allow you to change which cycle you need without any confusion. The large chamber size of 22 litre capacity enables more instruments to be sterilised at any one time. The Instaclave has space for 6 trays. 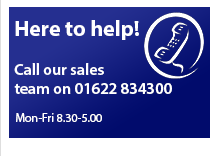 3 trays are included as well as your hose, drip tray and handle for ease of use. 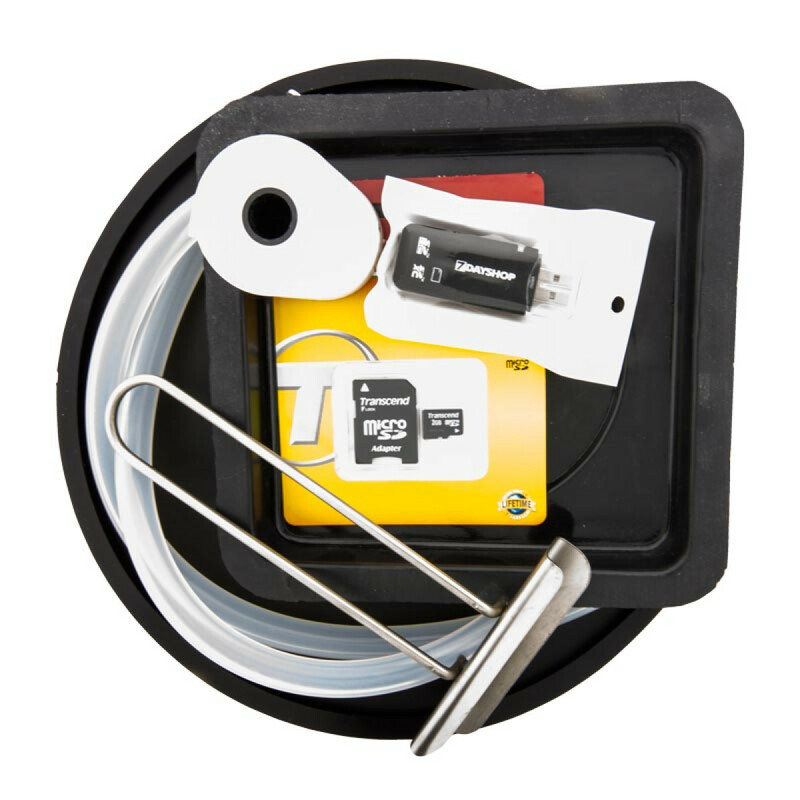 The door gasket can be replaced and the overheat cut out can be reset easily by the user, reducing your maintenance costs and down time. 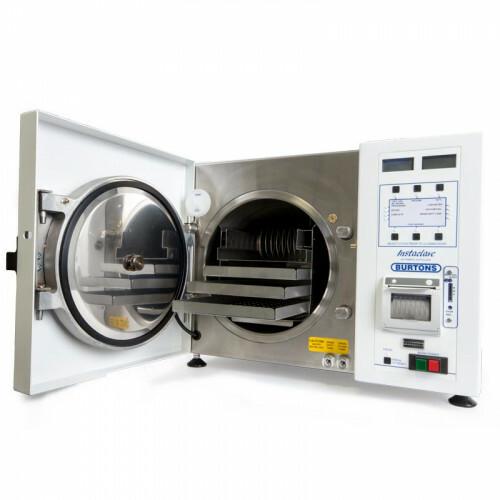 Why Choose a Vacuum Autoclave? 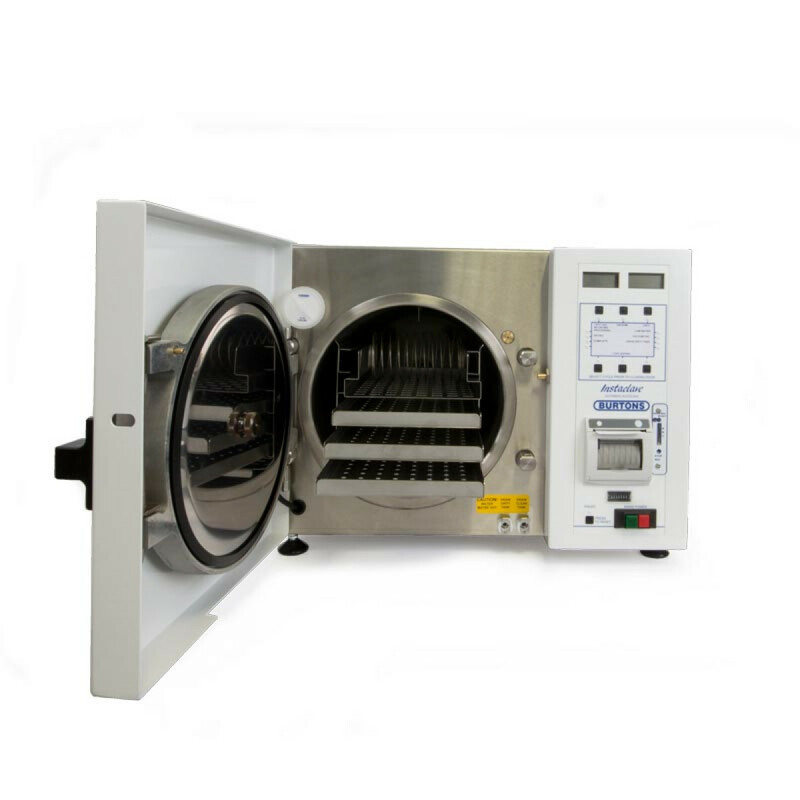 Are you always worried about certain instruments not being thoroughly sterilised? Then the vacuum is your answer. 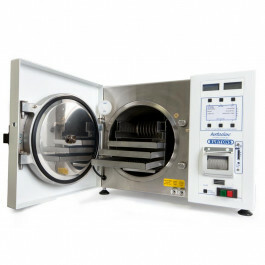 Removing all air before the steam enters makes it ideal for cleaning pouched, hollow, linen and solid instruments without anything being missed. You will always feel comfortable whilst using the Instaclave due to its abundance of safety features. The manual and mechanical door locking mechanism ensures that it cannot be opened whilst sterilising due to the pressure forcing the second lock to engage. Overheating protection and a pressure safety valve are two other features that will guarantee you an easy and safe experience. When it comes to sterilising your instruments, for total certainty and performance there is only one answer. © 2013 Burtons Medical Products. All Rights Reserved.